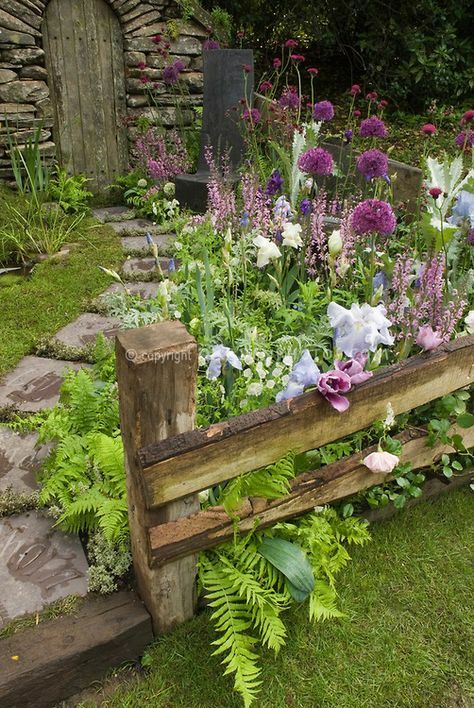 Looking for ideas for you garden fence ideas? Check out our gallery featuring garden fences that will protect and dress up your yard. 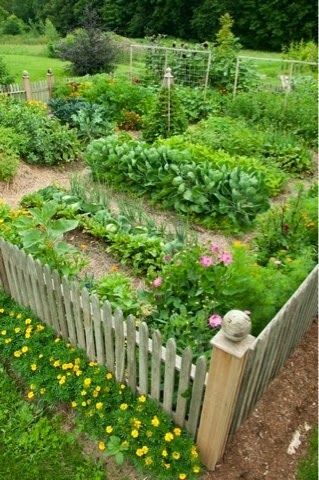 So you’ve just finished planting and organizing your garden and know you are in search of some garden fence ideas? It is easy to get lost in the sea of options for garden fencing, but I’ve got three main points of consideration that will help you narrow down your garden fence ideas! Your garden could appear to be a luscious playground full of treats and treasures for a multitude of different animals or critters. Some of the most common animals that wreak havoc on gardens are deer, groundhogs, squirrels, rabbits, and chipmunks. These animals love flower gardens and vegetable gardens equally. So, if you live in an area where animals frequent your yard or surrounding property, you may want to consider a garden fence to protect all that hard work you put into your garden! Wire mesh (aka – chicken wire) is a great product to use on a garden fence that is supposed to keep animals and critters away from your plants. If you decide to use wire, securing the wire to the ground with ground staples is a great way to keep small animals like rabbits from lifting and crawling under the fence. If you do not think that you will have a problem with animals or pests entering your garden without permission, then you may choose a fence for purely decorative reasons. Decorative garden fencing ideas may seem easier to come by since you don’t have the added pressure of making sure the fence is functional as well as attractive! Most decorative garden fences are low to the ground and do not require any complicated installation processes. You can find many different decorative garden fencing ideas and options at most big box home improvement stores. These fencing products typically come in a multitude of materials, colors, and designs! Or you could go the DIY route and use materials such as sticks from your yard or surrounding property. 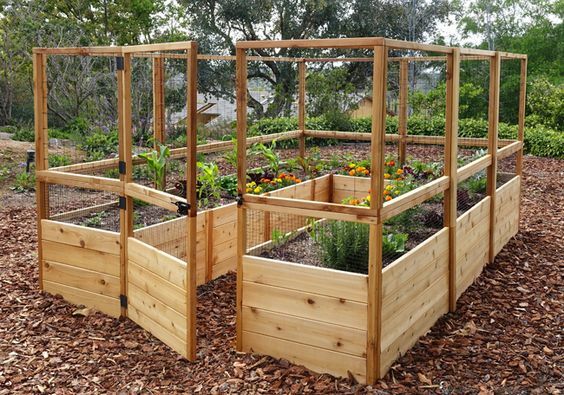 You could also combine wooden lattice and thin cedar planks to create a cute little vegetable or flower garden fence! 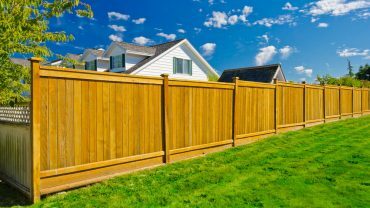 Which Type of Fence Should you Choose? 1. Natural (i.e. bamboo or reed) – This type of fence is a great option if you need to keep animals and pests from entering your garden. A bamboo or reed fence will not necessarily keep something from entering your garden using brute force, but this type of fence is completely solid and opaque which will keep any animals or critters from seeing what they are missing! 2. Metal -You can find metal fencing in a variety of style and color options. This type of fence is very sturdy and should last a long time. 3. Picket Fence – The picket fence is a classic choice when it comes to garden fencing ideas. This type of fence can fit several different design styles such as a country or shabby chic look. 4. Mixed Materials -Don’t ever feel like you have can’t combine several different styles of fences to create the look you are after! You could have a garden fence with wooden posts and frames that hold metal mesh panels. What are some Fence Installation Tips? 1. 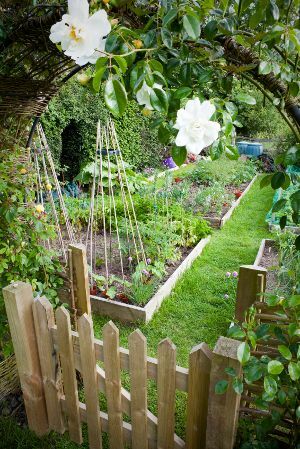 Garden fence posts should be no farther than six feet apart. 2. Consider your Climate: Cold northern climates need concrete anchors for fence posts. These anchors should be 36 inches deep in order to protect them from cracking during cold snaps. On the other hand, warmer/damper climates should use vinyl over wood for a fence, because wood is susceptible to water damage. 3. Know your limits: consult an expert if you feel like you cannot construct and install your fence properly! I hope these garden fencing ideas have been helpful and have inspired you to get started with your own fencing project! 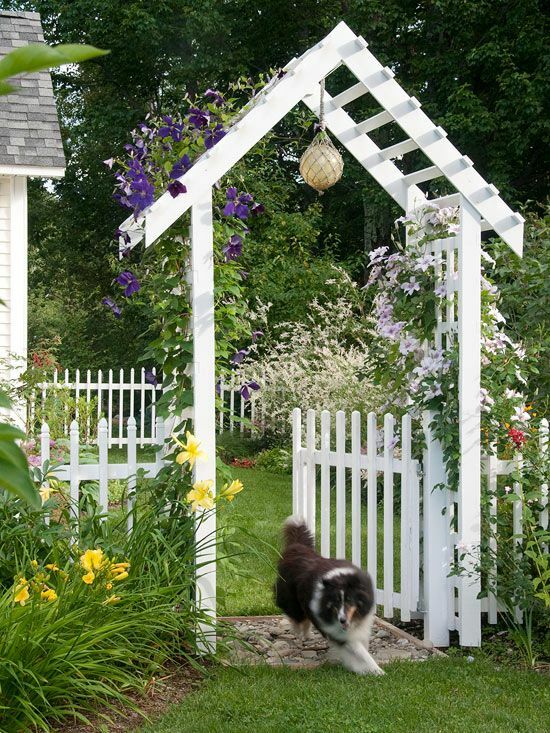 A half-sized picket fence is a great way to contain and fence and add style to your garden. 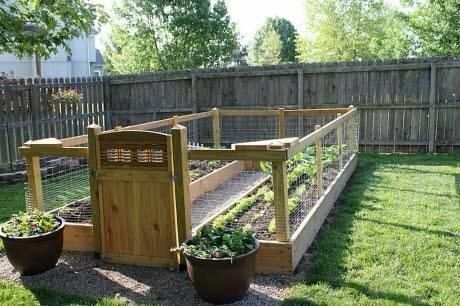 A great diy garden fence idea that gives you two separate raised planter boxes and an easy to access walkway. A tall wood fence with metal wire. Deer fencing and picket fencing create a quick garden area anywhere in your backyard. 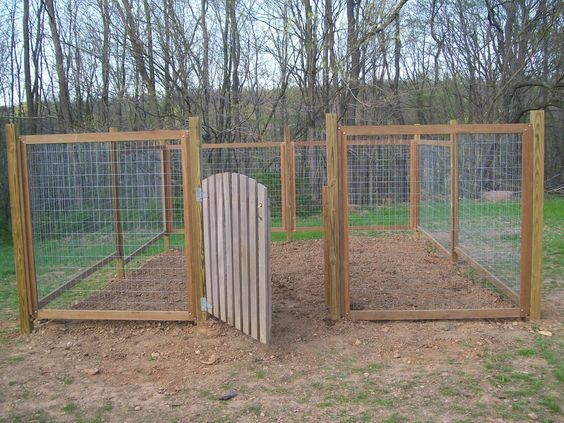 A steak fence around raised gardening boxes helps keep mid-size animals away. 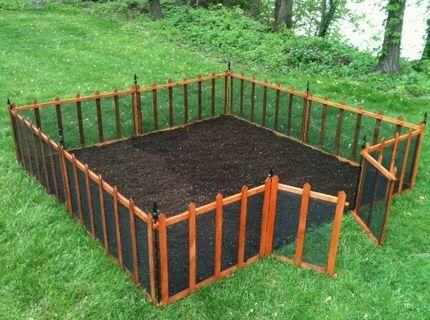 This DIY is made from 2×4’s and chicken wire, for a super functional garden fence idea that keeps animals and pests away. 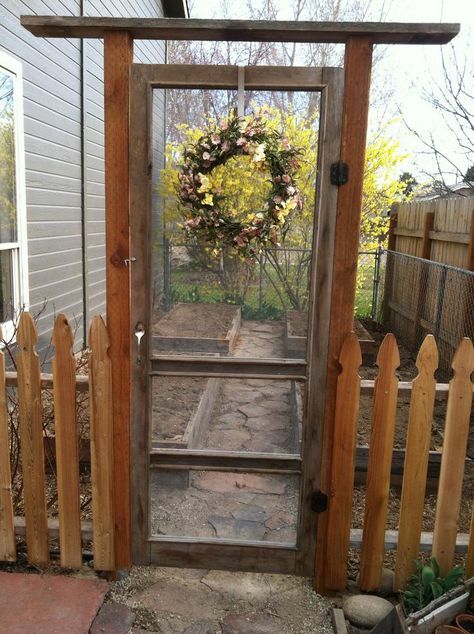 An old repurposed screen door makes a great garden fence idea. Great fencing does not have to complex or constructed from expensive wood. 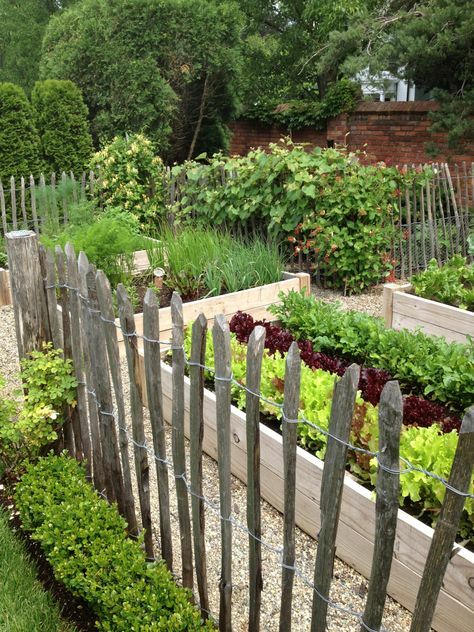 This split rail garden fencing is a great diy fence. This fenced in garden is made from picket cedar wood fencing and 4×4 posts. 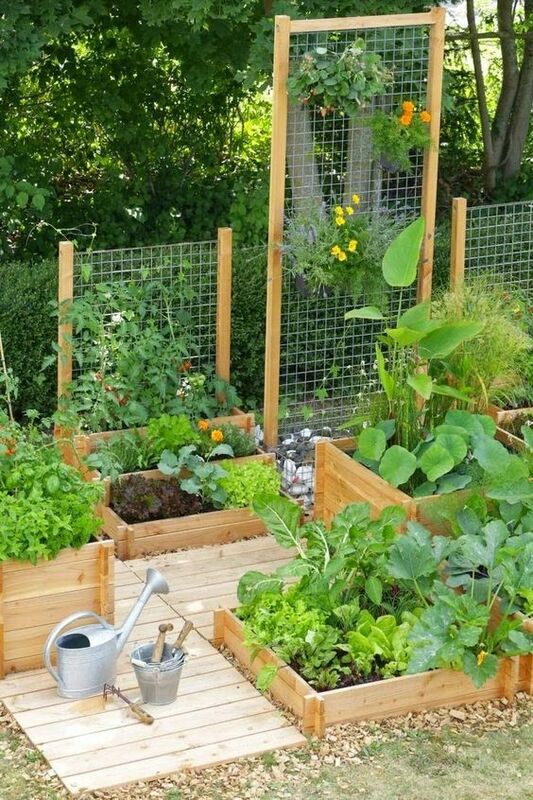 The great garden fence idea will change the way you use your fence. 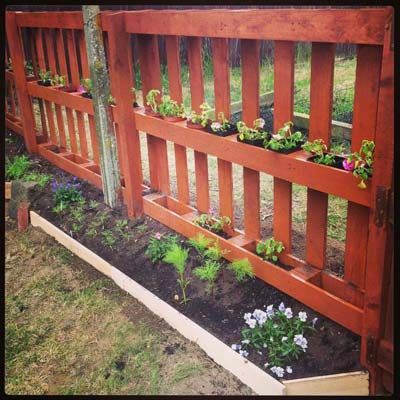 By adding a second layer to your fence you can make it more functional and give you extra room for planting. 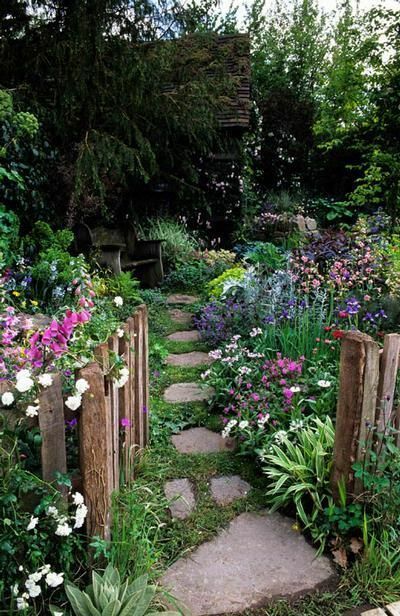 A garden fence with a beautiful stone path. A cute garden, with planter boxes to keep each section of the garden secluded. 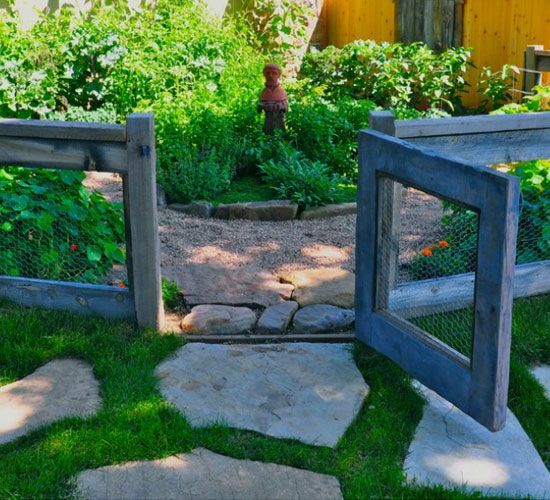 Make sure to include a gate or garden abhor in when looking for garden fence ideas.